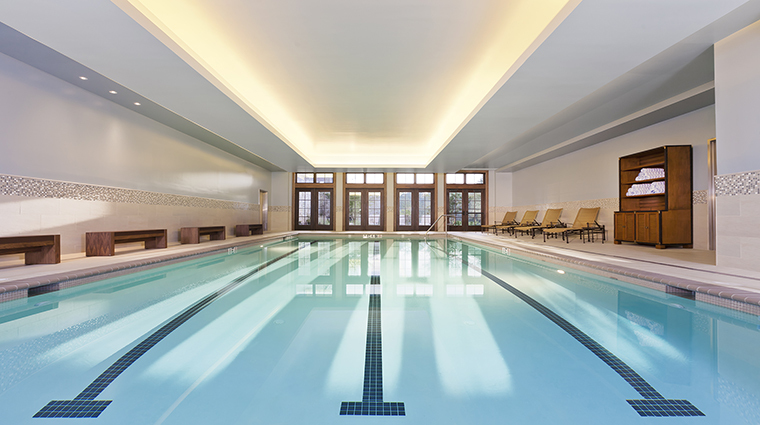 When you need a country respite from Washington, D.C., escape to the 23,000-square-foot Salamander Spa. 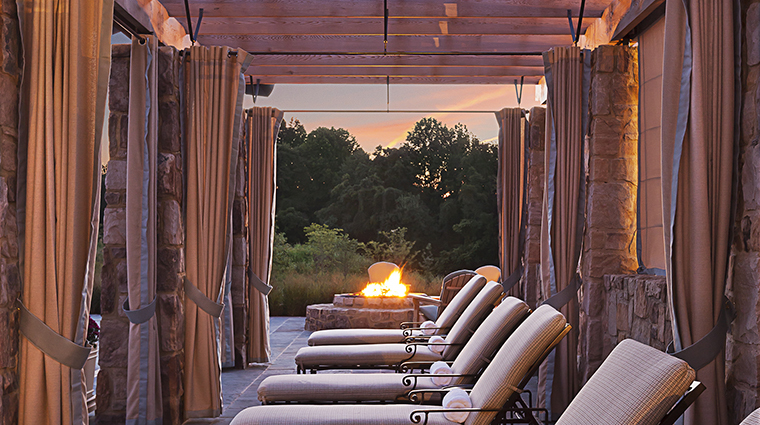 Set on the 340-acre Salamander Resort & Spa in Middleburg, Virginia, about an hour from the nation’s capital, this luxury destination spa caters to health and wellness. But you’ll also find tranquility in everything from the equine-esque aesthetic to the relaxing outdoor pool exclusively for spa-goers. 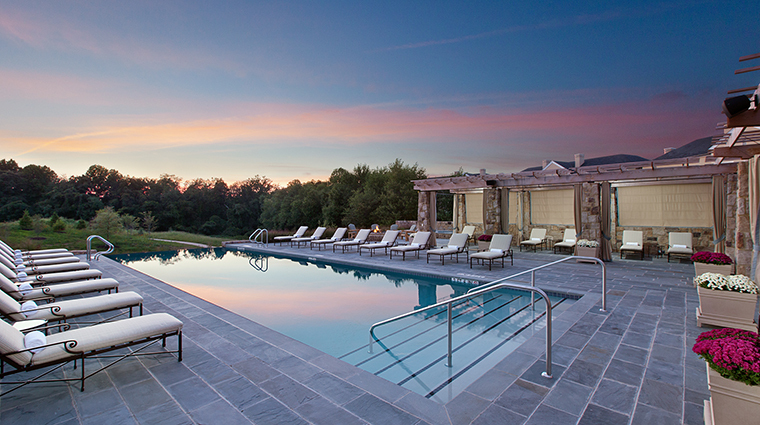 Keeping in line with the rest of the resort, Salamander Spa has an equestrian flair, but it’s far from kitschy. As you walk into the spa, notice the copper fountains along either side of the walkway — a nod to the property’s history with horses. 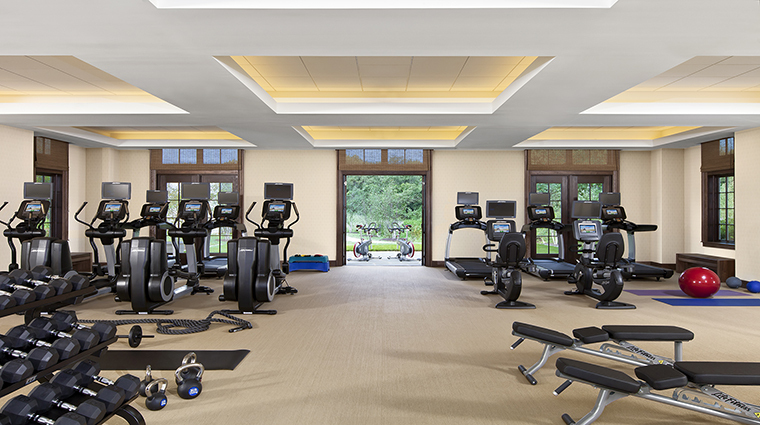 After check-in, head to the locker room, passing through an octagonal space that’s reminiscent of a barn’s frame. 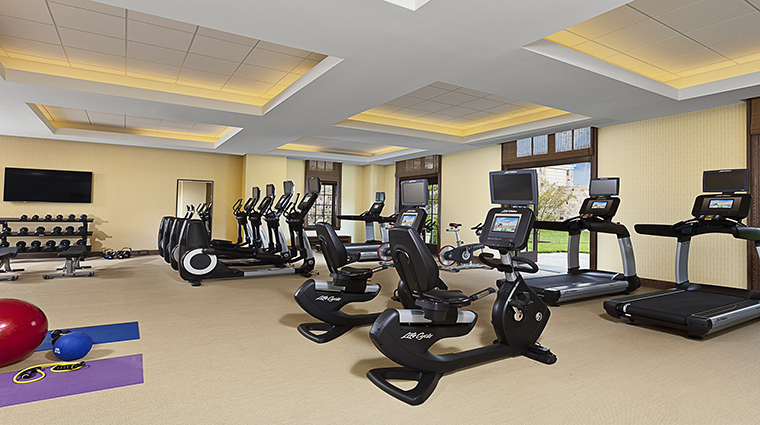 These subtle touches make it evident that a lot of thought and planning went into creating the beautiful space. 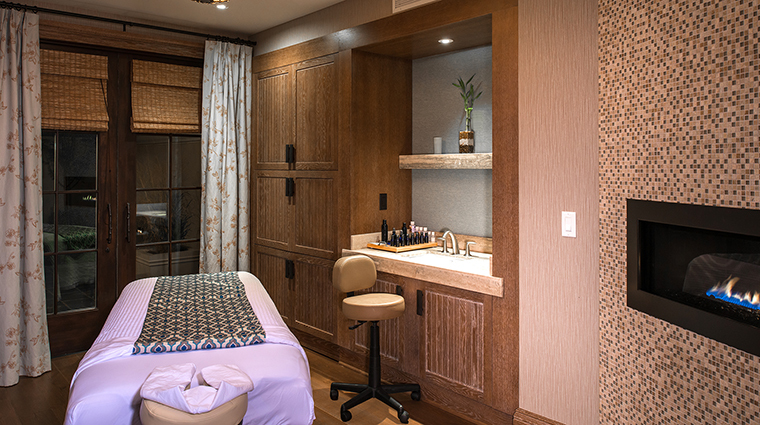 The treatment rooms are cozy (and we don’t mean small) with dark wood. Some sport terraces (you can have your treatment outside, weather permitting), while others boast gas fireplaces. Arrive at least 30 minutes to complete the consultation form, or even earlier to bask in the exquisite amenities. 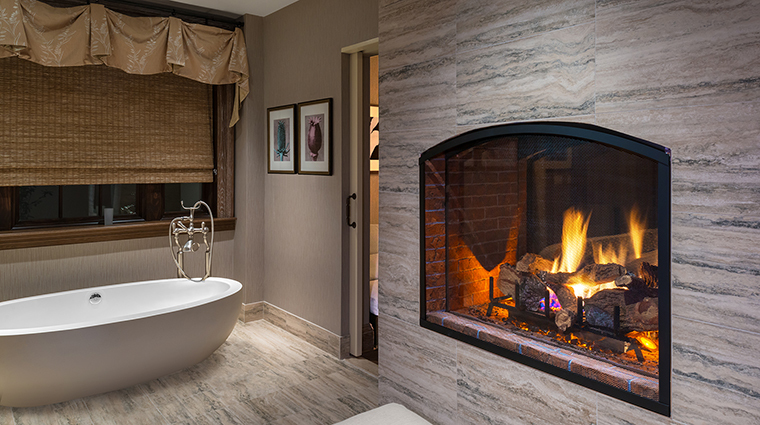 Pairs can reserve the couples’ suite, which features a two-sided fireplace, a freestanding pedestal tub and an outdoor courtyard with a Jacuzzi. 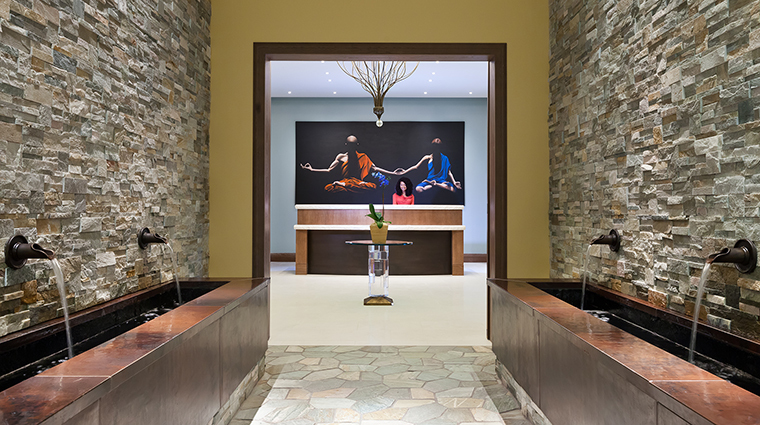 Salamander Spa maintains its tranquil nature by limiting the age requirement to 18 years and older. With 14 treatment rooms and a 10-station salon, the spa pretty much has you covered in the beauty, health and wellness departments. The spa menu features the standards: massages, wraps, scrubs and a wide array of facials using Barcelona-based Natura Bissé products. 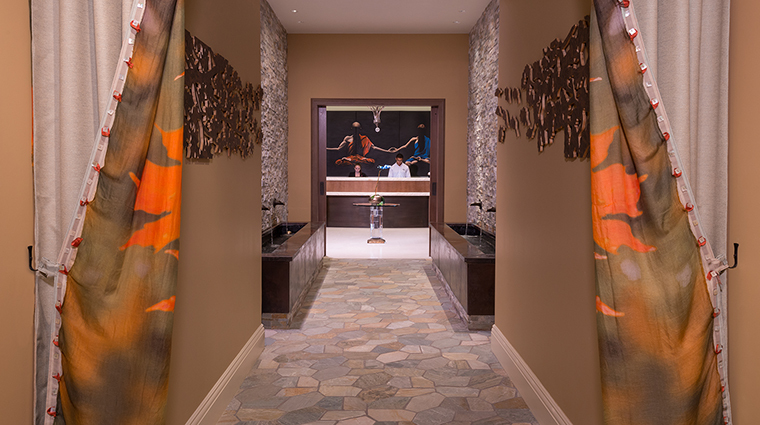 One of the unique experiences at the Virginia spa is the rasul, a Moroccan-inspired therapy. You’ll apply remineralizing mud all over your body beneath a beautiful ceramic dome and rinse in an aromatic steam and a rain shower. If you prefer to let someone else do the work while you’re pampered, book one of the massages (golfers, opt for the Quiro Golf Massage) and take advantage of the beautiful surroundings by having your service on the private terrace. 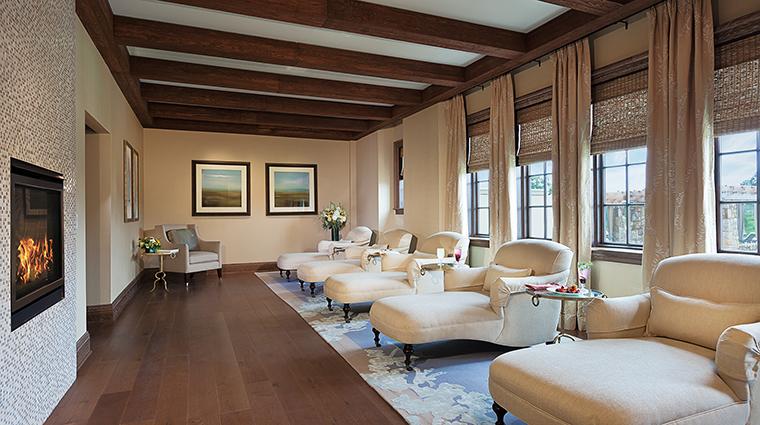 In the winter, warm up by the fire in one of the interior treatment rooms as tension is kneaded out of your body. 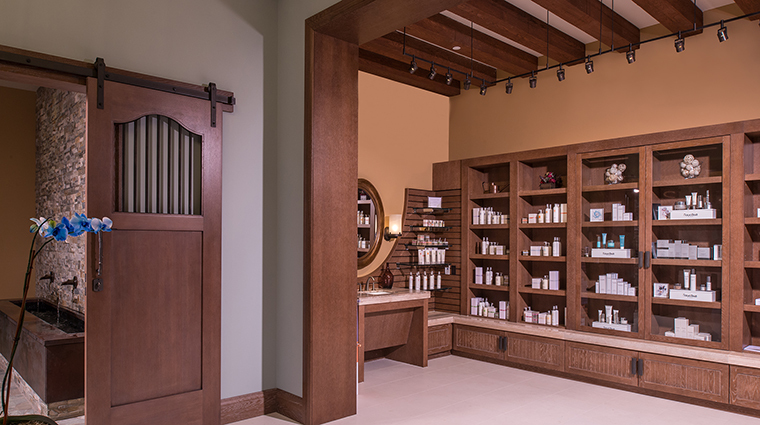 While the atmosphere is important, the perks are what really make a spa experience memorable. 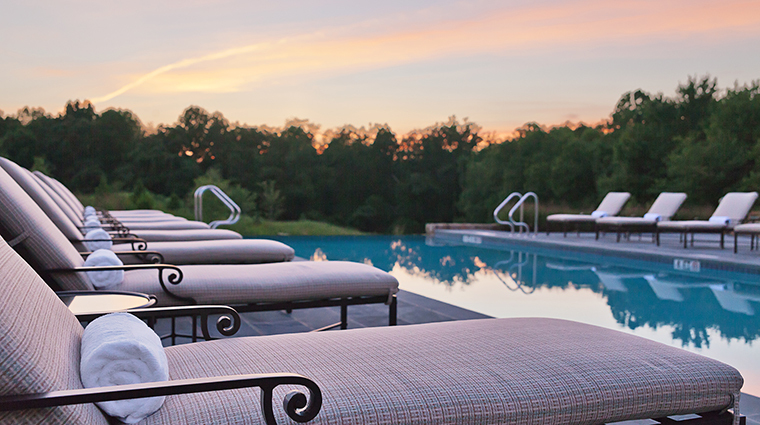 At this Northern Virginia retreat, you’ll want to spend all day in the locker rooms — penciling time in for your treatment, of course — as they’re stocked with luxe amenities. 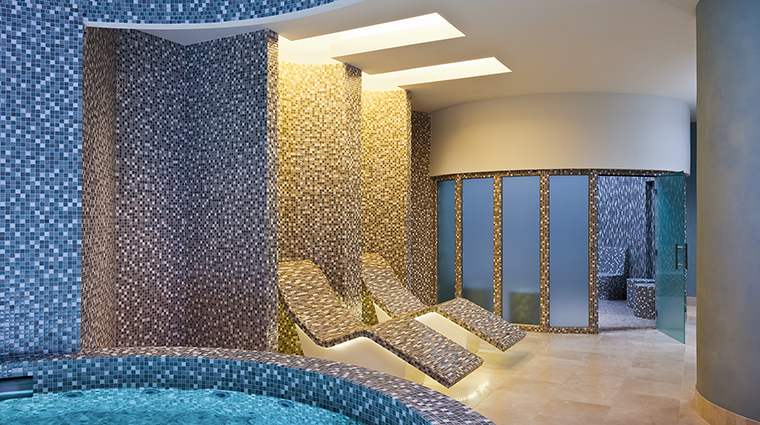 Make sure you experience the heated tepidarium loungers, aroma-infused steam room and vitality pool with hydrotherapy jets (and a 14-foot domed ceiling), all of which are blanketed in beautiful mosaic tiles. 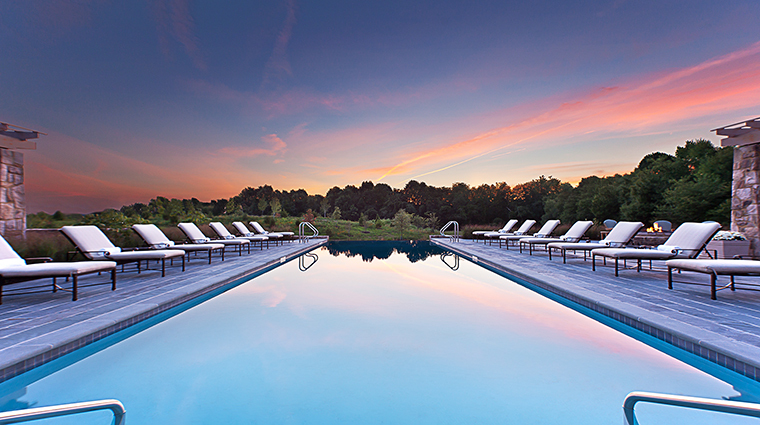 When it’s nice out, lounge by the outdoor infinity-edged pool and enjoy healthy poolside dining. 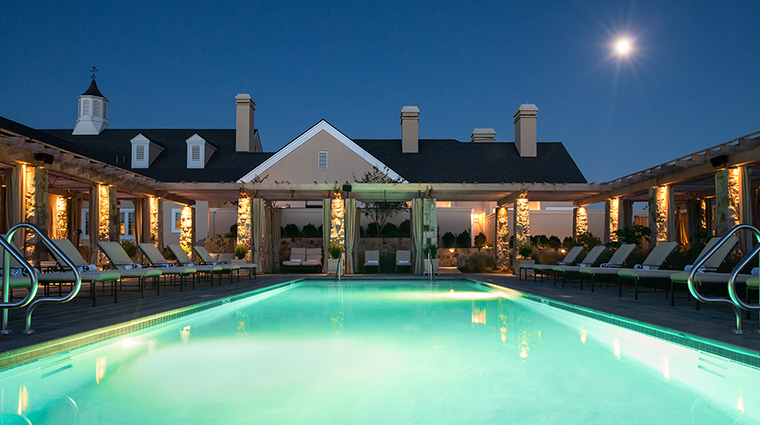 The spa courtyard, complete with cabanas, a fire pit and a hot tub, resembles resort owner Sheila C. Johnson’s pool area at her private home.